It is 0740 shipboard time. The sun is already quite high over the eastern horizon, bathing the Bay of Islands in yellow light. The wind is still from dead ahead, but only at about 5 knots. We are about 1.5 miles north of Whale Rock at the entrance to Bay of Islands, so we have a good view now of one of New Zealand’s most famous cruising grounds. We spent the last day with the diesel engine noisily but steadily grinding us to windward, as this was the fastest way to make the final miles. 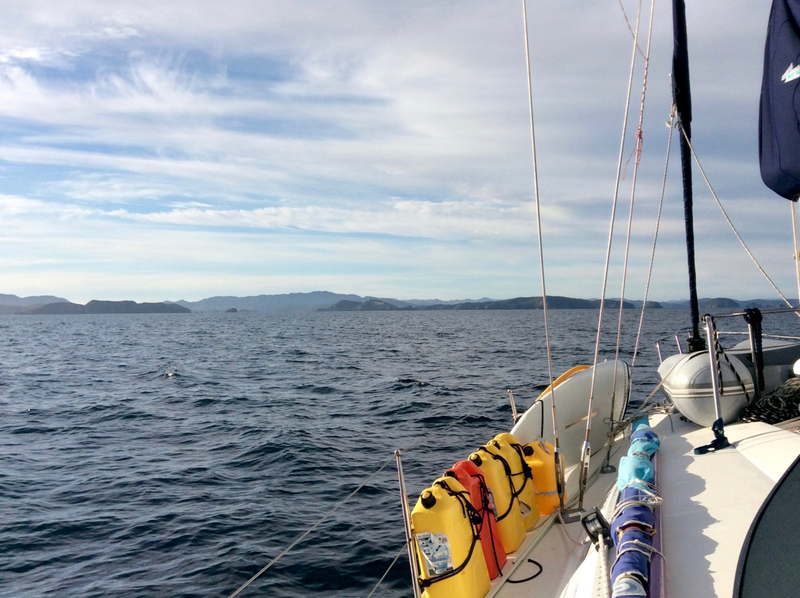 The family was too anxious to arrive for us to have spent another day tacking in to arrive under sail. The only downside of arriving today is that it is Sunday, but maybe that won’t matter here. We will soon see. We still have about 10 miles to go upriver to reach our port of entry, Opua. If we have a good internet connection at the dock I will soon post some better quality pictures. In any case I will at least send another quick update once we have checked in.